Alessandro Michele‘s Gucci is to fashion what Massimo Bottura is to food. Though both names exist in completely different spheres, each is equally synonymous with groundbreaking creativity, of a formidable approach to their craft that makes them undisputable masters of their industries. 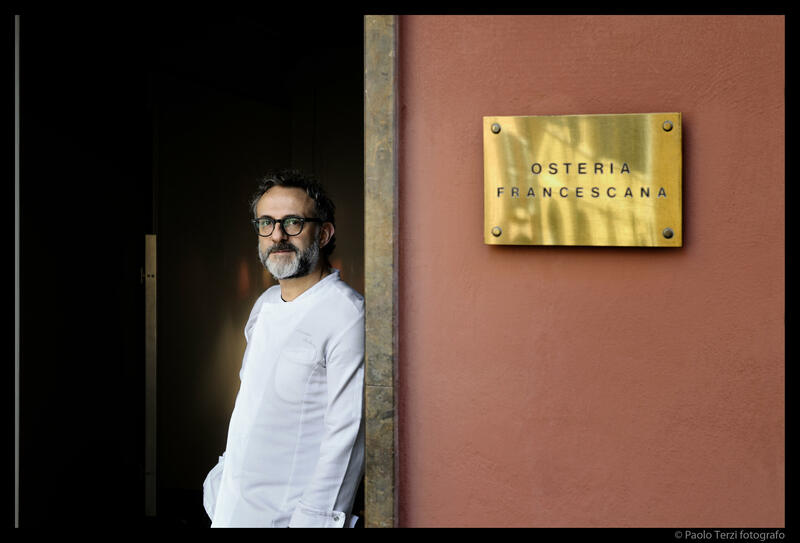 With that in mind, when news broke that Bottura and Gucci will be joining forces to open a pop-up restaurant, the world was ecstatic, and it now exists as the Gucci Osteria in Florence. That merger between fashion and food has made waves worldwide since its opening last year, and now, you don’t have to travel to Italy to experience the magic. Gucci’s culinary venture will come to Singapore for a four-week-long restaurant pop-up in the form of Gucci Osteriada Massimo Bottura this May. This is the first time the Osteria has travelled beyond its Florentine post. Brought to Singapore by food and beverage lifestyle company Savour, the pop-up will take place in The Arts House at Old Parliament Lane from 1 May to 2 June. 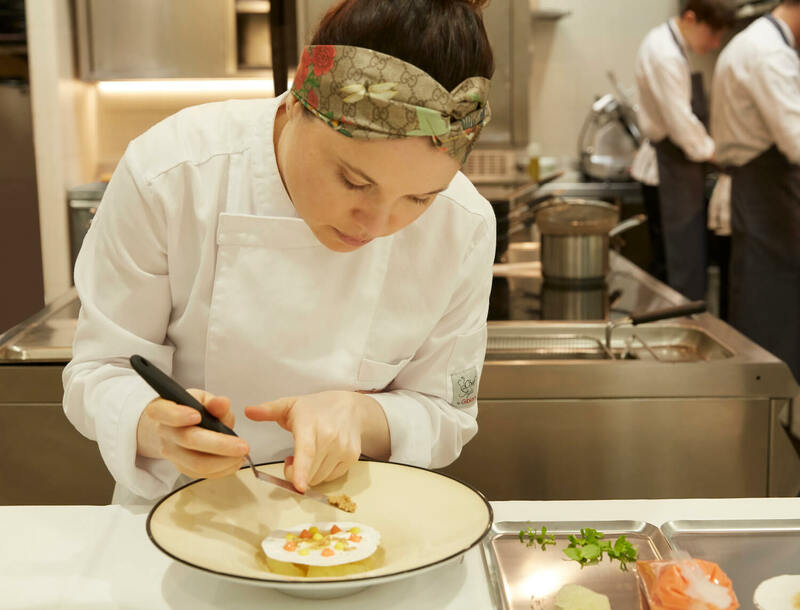 This 60-seater restaurant is the brainchild of Bottura and the chef of Florence’s Gucci Osteria, Karime Lopez, with a menu that unites the genius of both. 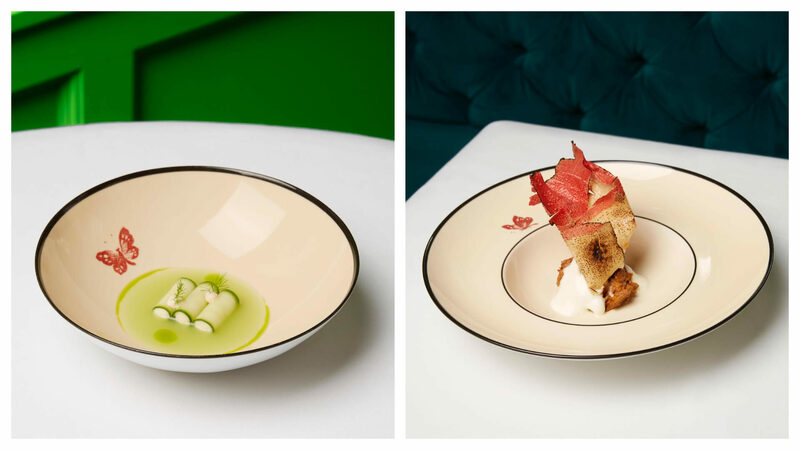 Bottura’s signature dishes, such as Crunchy Part of the Lasagna, Holy Cannoli and other familiar names will make an appearance alongside other unique plates that deliver flavourful whimsy. Gucci Osteria da Massimo Bottura is open for lunch and dinner, with select tasting menus to choose from. There is a four-course lunch, a seven-course lunch and a seven-course dinner. The fashion giant’s presence will also be strongly felt in the pop-up, as the space will be transformed into a version of the Gucci Garden, the brand’s multi-concept destination in Italy that also houses its Osteria. 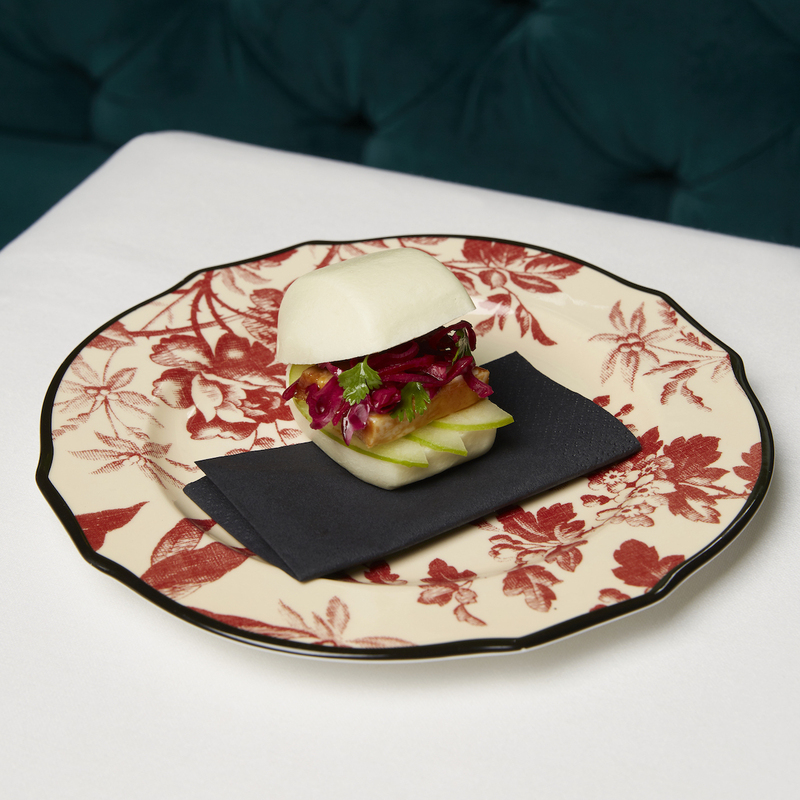 Wares from Gucci Dècor, including their botanical Herbarium crockery, will decorate the Renaissance-styled dining area and table settings. Most of these pieces are exclusive to the Gucci Garden, so the exclusivity of a dinner at Gucci Osteria da Massimo Bottura is compounded. You no longer have to travel to Italy to enjoy this one-of-a-kind merger between two of the nation’s most-lauded names. Bookings open on www.savour.sg/gucciosteria 20 April at 12pm.